On our second day in Cape Town we went down to Waterfront. 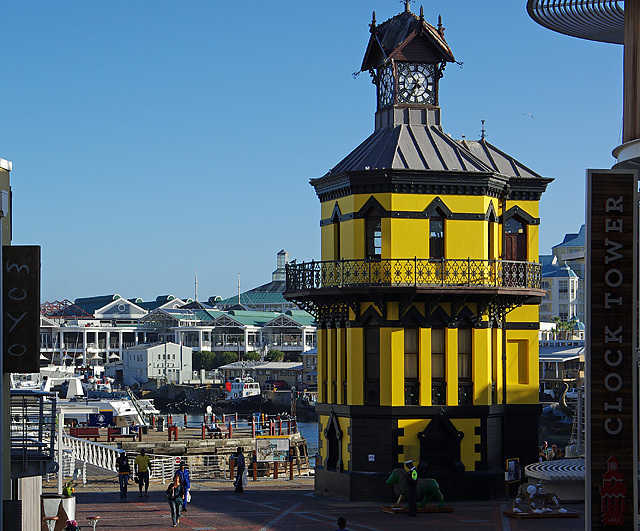 Here, next to the old Clock Tower, is the starting point for the boat trip to Robben Island. The island is less than 10 km from the city. Today it is a national monument and even a World Heritage site. This is the harbor of Robben Island today and in the beautiful sunny weather it is very nice. 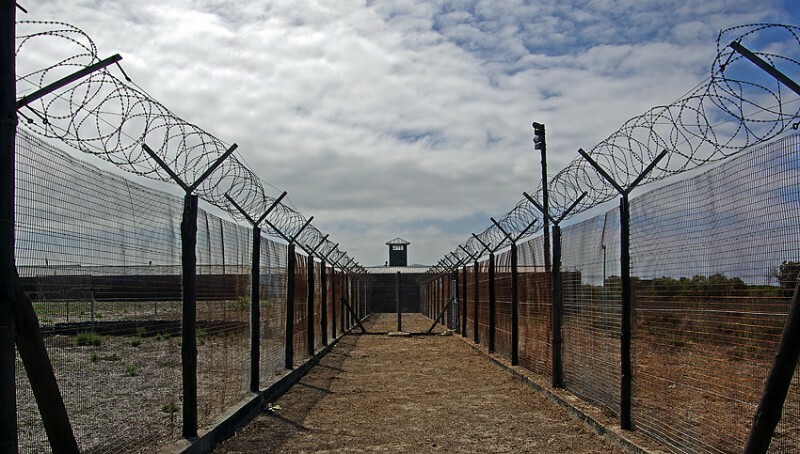 But Robben Island is most known for being the site of the “Maximum Security Prison” during the apartheid era between 1963 until 1991 with Nelson Mandela as the most famous amongst thousands of prisoners. From the harbor we took a bus and got an enthusiastic and knowledgeable guide. The first station here was built in 1652 for the Dutch East India Company and it was also the Dutch who turned the island into a prison in the 17th century. In 1846 the island was converted to host chronically ill people. The picture above shows the lepers’ graveyard. In 1960, on 21 March, Robert Sobukwe led a march to a police station in Soweto. This started as a peaceful demonstration against the pass laws in apartheid South Africa. A similar demontsration in Sharpeville that same day ended in a massacre. Robert Sobukwe was first sent to prison for three years but after those years the government did not dare to release him. Instead he was sent to Robben Island. Here he was “detained” for another six years without trial. He was kept in isolation from other prisoners in the white house on the picture above. From 1969 until his death in 1978 he was kept in house arrest in Kimberley. Nelson Mandela was first sent to prison in 1962 and in 1963 he and most of the ANC leadership was sent to the new “Maximum Security Prison” on Robben Island. The leaders were kept separated from the other prisoners. In 1965 this small group started “working” in this lime quarry. With picks and shovels they excavated lime that no one needed. In the quarry is a natural cave. The prisoners used it as a storage for their tools and a place to rest during brakes but also as a toilet. The smell inside was so bad the guards stayed away. 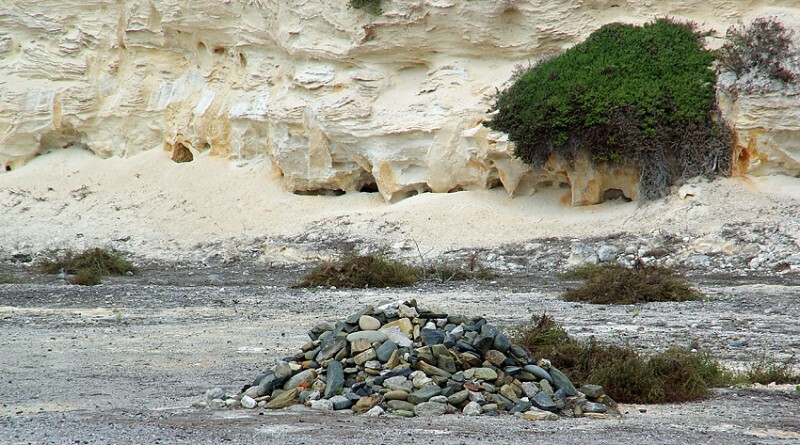 Today this cave is sometimes referred to as the first democratic government in South Africa. Here the leaders of ANC met, discussed and made plans for the future. After the end of apartheid some of the prisoners returned to the quarry, including Nelson Mandela. He made a speech and afterwards laid a stone on the ground. Other former prisoners followed his example. The pile is now a symbol of unity. Cape Town is not far away and during the years there were prisoners who managed to escape, by boat and even a few swimming. But strong currents, low water temperature and white sharks was usually enough to prevent attempts. Last stop on our tour around the island was the prison. All the guides working here are former prisoners. They live with their family’s on the island. As I understood it our guide was a prison here between 1977 and 1982. The courtyard outside the cell of Nelson Mandela. After many years he was finally allowed to start creating a small garden here. The area was also used for tennis games. This was used as a way of communication. Small notes were put inside the ball that was then hit to go outside the walls. A collaborator outside replaced the ball and threw it back. 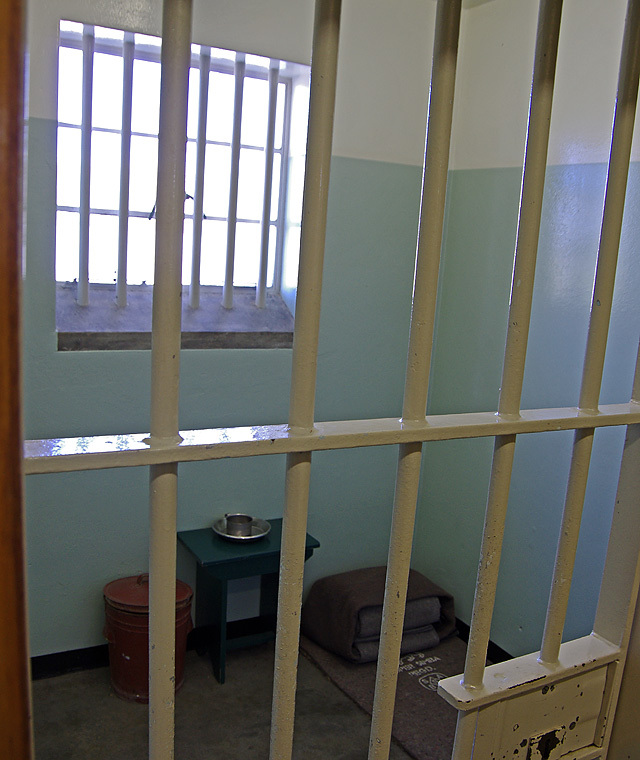 This is section B where the ANC leaders were kept. 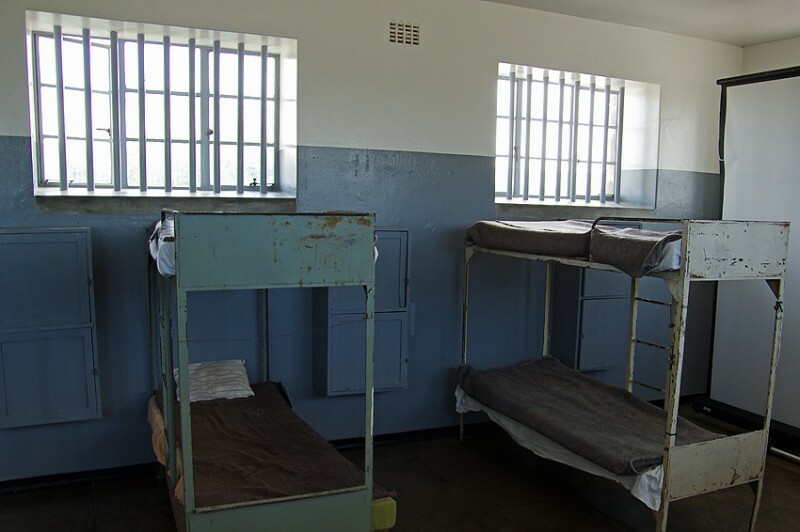 This is cell 5 where prisoner 466/64 Nelson Mandela had his home. He was released in 1990, almost 72 years old. 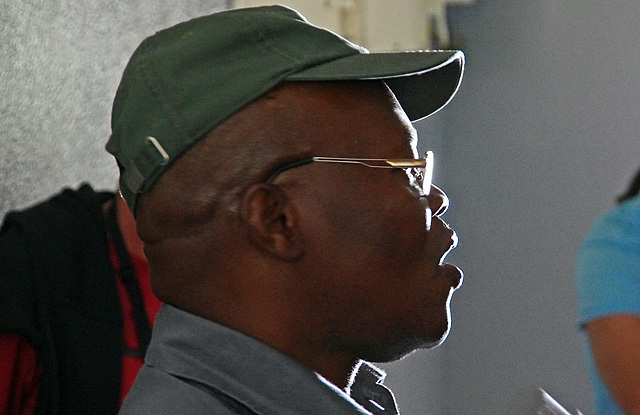 By then he had spent a total of 27 years in prison, 18 of these on Robben Island. 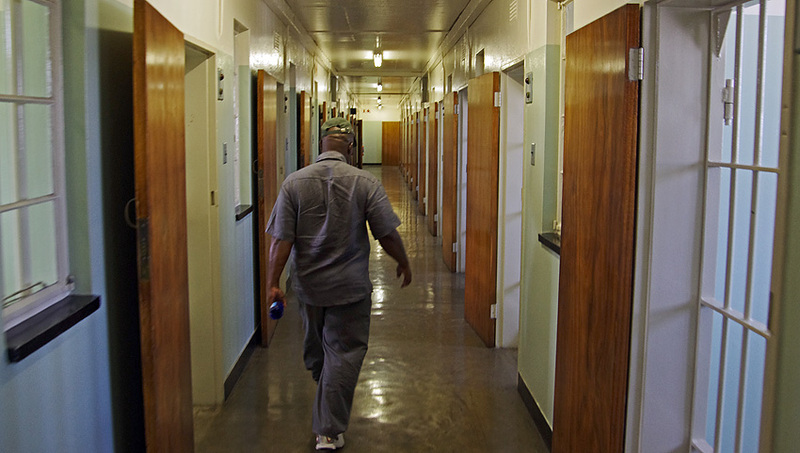 This is another section where prisoners from South West Africa (today Namibia) were imprisoned. Only the leaders were kept in single cells. Other prisoners were treated depending on race. Black prisoners had shorts while coloured or Asians got long pants and even the food rations were different depending on race. 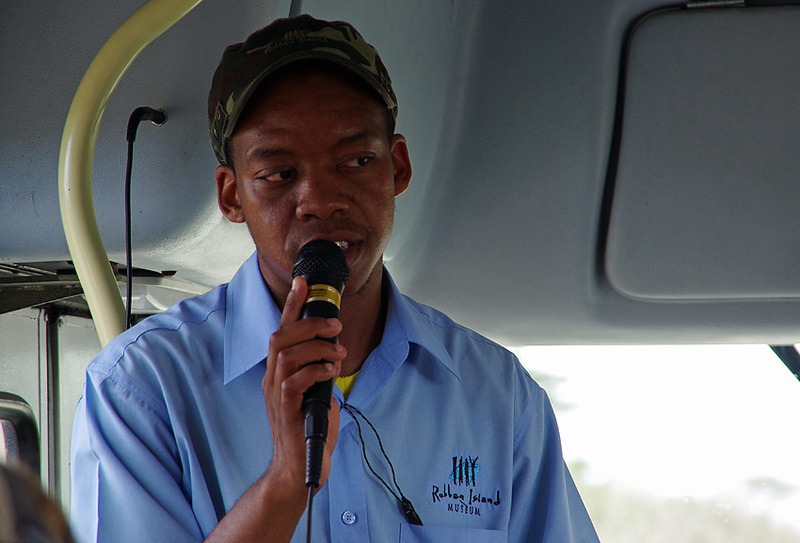 Silent and serious tourists listening to stories of the life as a prisoner on Robben Island. A soccer field outside one of the sections. 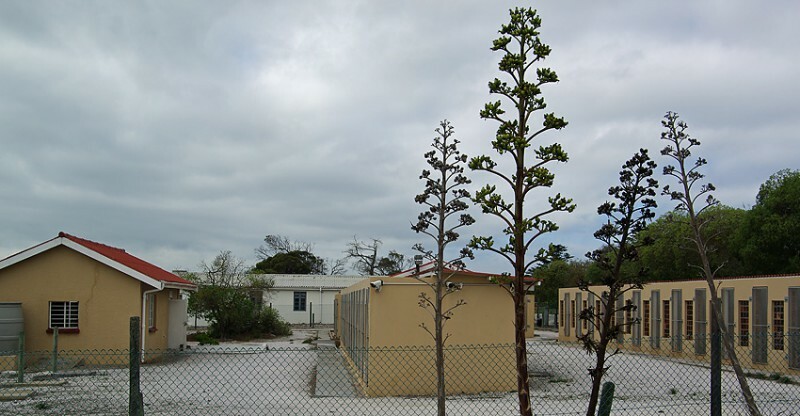 The details concerning Robben Island prison suggest a very determined effort by the relevant apartheid authorities to intimidate and break the spirit of anyone unfortunate enough to be sent there by them. How the inmates survived is a miracle and confirms the maxim that good triumphs over evil with time. I salute the courage and resilience of late Nelson Mandela and all the others who tasted of this piece of man’s inhumanity to man. whats the best activity in this island?